Organisations need to measure the success of their hiring process to find out how effective the program is. And the best way is by analysing the various processes involved especially the ones that matter like the ratio of the closures, screening, validation, interview schedules, the offer and the on – boarding stages. To find out whether it is a success depends on a lot of aspects which we have tried to cover in our popular @SourcingAdda WhatsApp Group discussions. 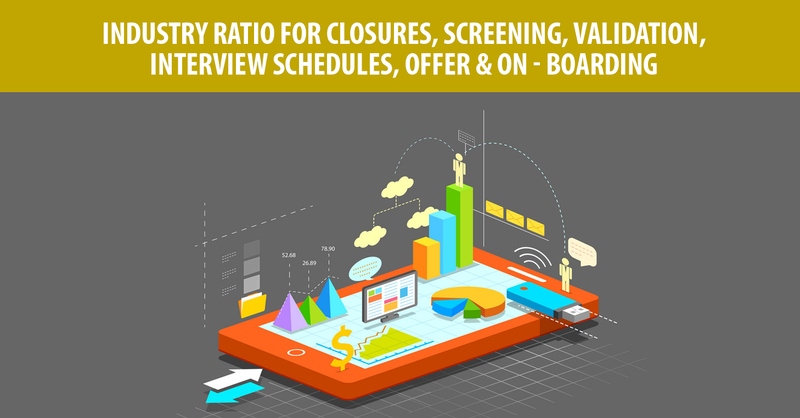 And thanks to one of our Bangalore Group member’s Champa who suggested we discuss on, “Industry ratio for Closures, Screening, Validation, Interview Schedules, Offer, On – Boarding. In the discussion we’ve tried to cover all of these aspects and time frames so let’s find out more about the same below…. The discussion above was very insightful with a lot of useful information that can be implemented when measuring the effectiveness of a company’s recruiting program. As a Talent Acquisitionist conducting such analysis is very important to verify the effectiveness of your hiring efforts. Such analysis can prove to be very effective especially when modified it yields positive results. The inputs shared can assist you if you are a first timer into the Talent Acquisition profession. Talent Acquisitionist’s who have been in to the profession for approximately 15 yrs. seeking other opportunities is difficult. It is therefore obvious for one to be curious to find out how they can achieve what they are looking for especially in such a scenario. The opportunities are usually limited for such professionals hence it is important for them to know the available career opportunities. 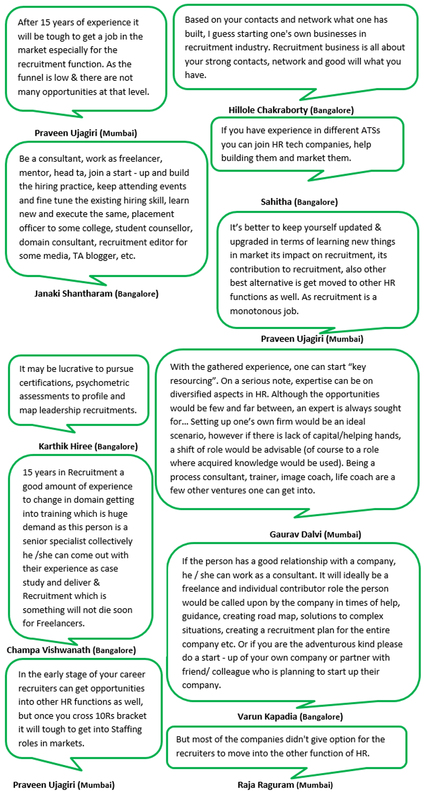 Having said that, we @SourcingAdda focus on such developments in the Recruitment sphere and thanks to one of our Mumbai group member’s Anshul we are able to do exactly that. The topic suggested by him addressed this particular question. 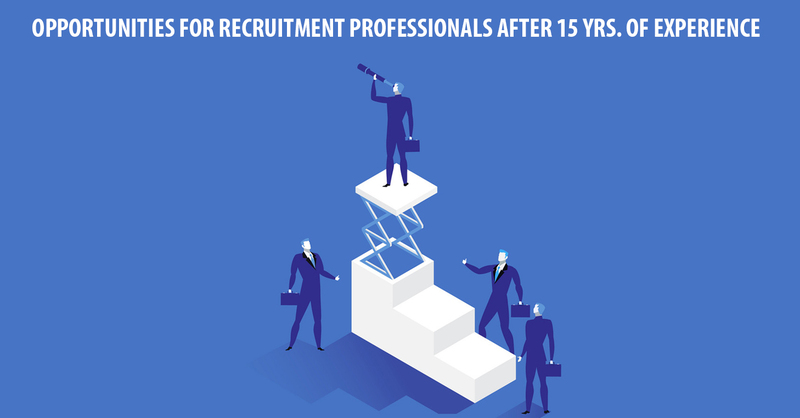 So the discussion was on, “Opportunities for Recruitment professionals after 15 yrs of professional experience and below is what we uncovered for your reference…. We are sure that you too had a lot of questions at the beginning and we hope we have been able to answer them to the best of our ability. We hope you have got a clear idea of the possible opportunities that may present themselves in the near future. We hope you are better prepared for the changes that are ought to come and if not then reading this is a great start. 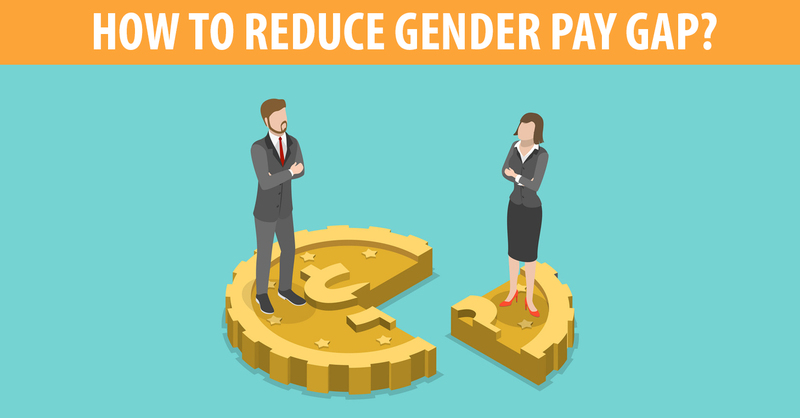 How to reduce Gender Pay Gap? The Talent Acquisition field is no stranger to the common challenge of the Gender Pay Gap that most organisations are trying to resolve. And although we are in the 21st Century this still remains to be a challenge which will take some time to fix. Nevertheless there are still a few things organisations can do to prevent such disparities. Great insights were shared surrounding the common challenge of the gender pay gap in the Talent Acquisition profession. It’s a common fact that every aspect has both positive and negative aspects and that every challenge has a solution to avoid such scenarios. To name a few ensure that there is a balance in the male and female employee ratio, maintain transparency in the pay gap and hire leaders in a managing team that are neutral to both female & male employees in each project. When hiring preference should be given to internal fitment and industry pay standards to bridge the pay gap. Talent Acquisitionist’s constantly interact with Candidates to fill vacancies. A task such as this calls for a lot of patience, understanding that too under pressure situations for Recruiters. And when you make an effort to schedule interviews having to deal with no show of candidates can thus be very frustrating. Especially, when the reasons given are ridiculous or genuine which is almost always not the case. In an attempt to add a positive note to a challenge otherwise perceived in a negative note and ease the experience we @SourcingAdda conduct various activities keeping this in mind. And simultaneously we try our level best to bring you updated information about the recruitment industry. 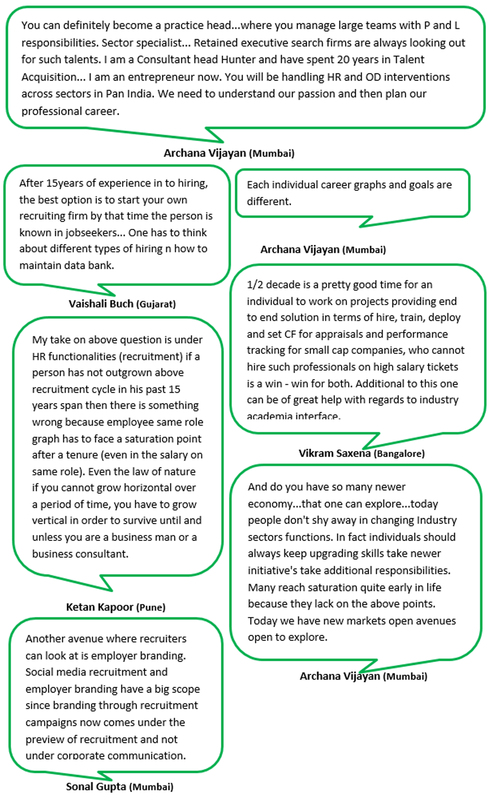 With that being said, one of our Bangalore group member’s Hillole, suggest having a discussion on, “What are the funniest excuses Candidates give for not attending the interview?” to find out what the inputs shared were; we’re disclosing the chat below, so let’s begin…. The discussion above was clearly funny yet informative as the insights shared showed us a picture of the candidates we are more likely to encounter when interacting with them. We can also identify which excuses were genuine and fake so we know what to look for when dealing with Candidates. It also help us to derive conclusions as to which ones will be on – boarded or otherwise. If you like this information we’re certain you’d be curious about what is in store for the future of HR.